Would you Bless If It Saved Lives & Families? Follow: Would you Bless If It Saved Lives & Families?. 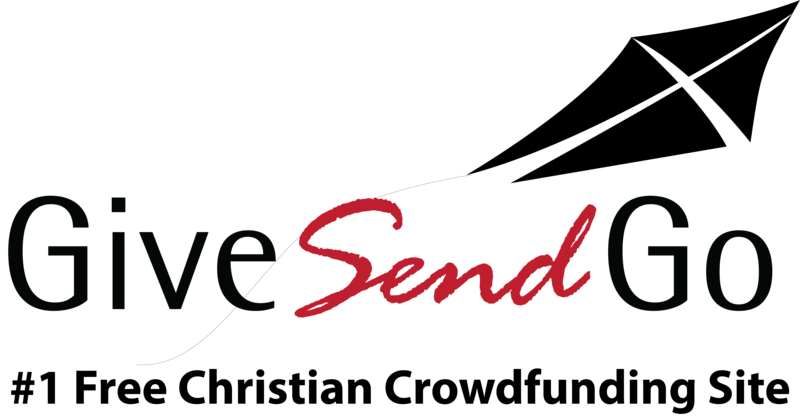 GiveSendGo.com is FREE, we do not charge to use our site. Give now to help Would you Bless If It Saved Lives & Families? It is No Secret, that Addiction/Alcoholism rips through families, Lives, Communties...The World. There is no shortage of Addiction/Alcoholism "\Treatments "Out there". Problem is: Most fail Miserably! They rely, solely, on Psycho-babble, Peer-Therapy, Potent Medications (Just New Drugs and New problems), and New Science Treatment Models, We Provide a "spiritual answer"..While their methods might show some promise, Ours have withstood the supreme scientific test" over Time- They Work! We can Change that! we have been Successful in Recovery, & Addiction/Alcoholism Treatment for over 27 years! We have No failures! That is a statement about the Grace of GOD, working through us, Not about us! We have expanded our reach, and ability to serve Clients. The costs per Client are $2,000.00 per month. * This is the amount for each Client for: 30 days residence, food, staff, work, treatment, activities, Family events... and more. It costs The Recovery Company about $3,500.00 per month per client to serve them, and Get them On the path to Permanent Recovery! We find the funding to cover the gap. We Need all of our brothers and sisters, to help here. $2,000 Total , That Saves a Life, Turns it around, Helps heal Families, and rebuild our Churches, and Communities! It is a small amount, but many addicts/alcoholics begin their recovery journey, with No Funds at all. Would you Bless them, by helping fund The Start of Their New Life? You can follow the funds' usage and watch it change a life. Might be someone you know! ** We deposit these funds directly into a Client benefit Funding Account and All Money is used for that sole purpose! This is a Working House, Client Must work, and give back. We insist on it! Once funded All Become self-supporting! Then We ask you to do one last thing..... Pray about it! Seek God's Counsel, and Then Decide, if this is something you should do? Message us and ask: "How You and Your Church can help us, help Them, and in return benefit ALL"? We are Moving along and Blessed. Here is an update! Client funding Campaigns are started here on GiveSendgo! We want to thank the donors and supporters, for all they have done so far. Electrical Breakers 15A. 20A, 30A 240V, 50A 240v, We will check on maker. Any and all interior Trim: Baseboard, Crown, 1/4Round, …. We are going to make this happen. We are well on the way!! We also need Licensed contractors willing to donate or give a pricing break. We wish to Thank All those who already supported this work! Bless you All! Join us as an Ad hoc Advisory Board Member, The 1st Meeting will be this coming week! Get Your group together and Volunteer. We Need 1-$5,000.00 donor, to take the slot to give this facility a name. *We can only offer this one-time, for the obvious reason. If we do not get a single donor, we will ask all of the donors on this fundraiser, and those who have given directly to come up with a name for the Center. That will be posted on Facebook and You folks can help choose it!Thank you! This will make a difference in the area, and hopefully, change the failed paradigm of treatment of Addiction/Alcoholism in a "wave-effect".